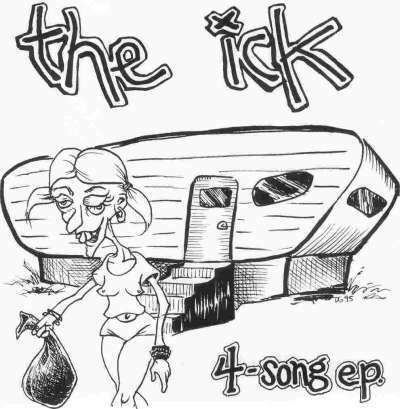 FOE 006.66 The Ick "Rubbermaid" 7"
Limited pressing of 300 on red vinyl. 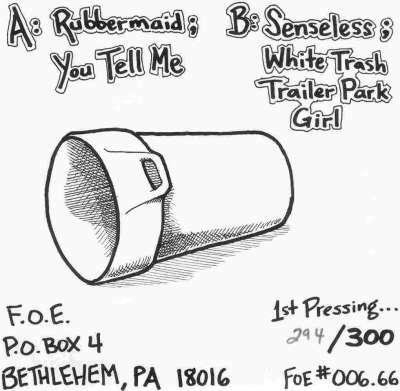 4 Tracks including "Rubbermaid", "You Tell Me", "Senseless" and "White Trash Trailer Park Girl". Cover artwork by DKG. Inside photos by JessicaBaer. Recorded and produced by Jesse Reno. Line up included Rocky on bass and vocals, Tom on drums, and Ryan onguitar and vocals.